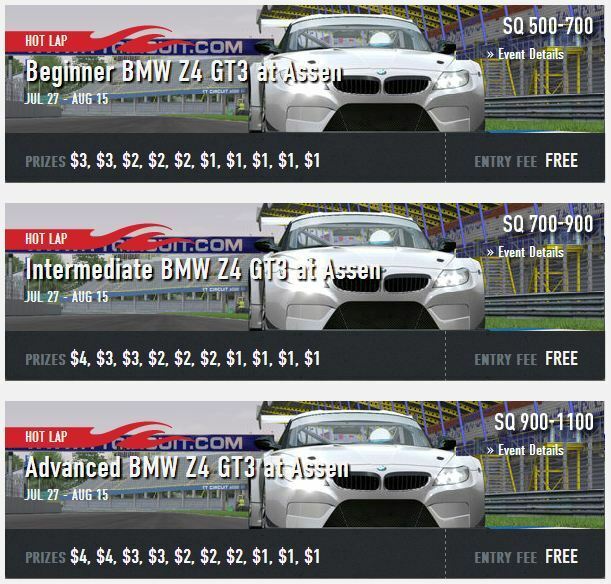 Can we get a hot lap event with prizes which uses the Z4 GT3 at TT Circuit Assen? Update is in, so... These events are now LIVE!